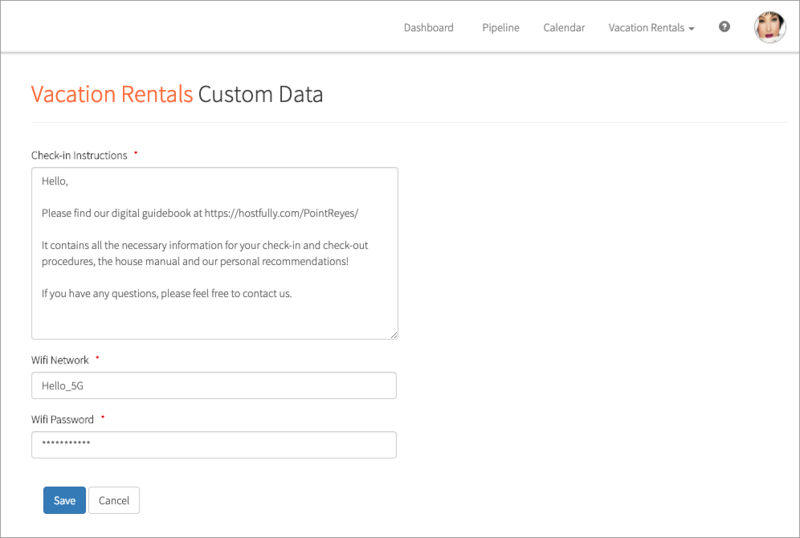 Hostfully allows users to customize the data which can be provided as variables to the Template and Triggers system, providing extra flexibility and expanding automation capabilities. 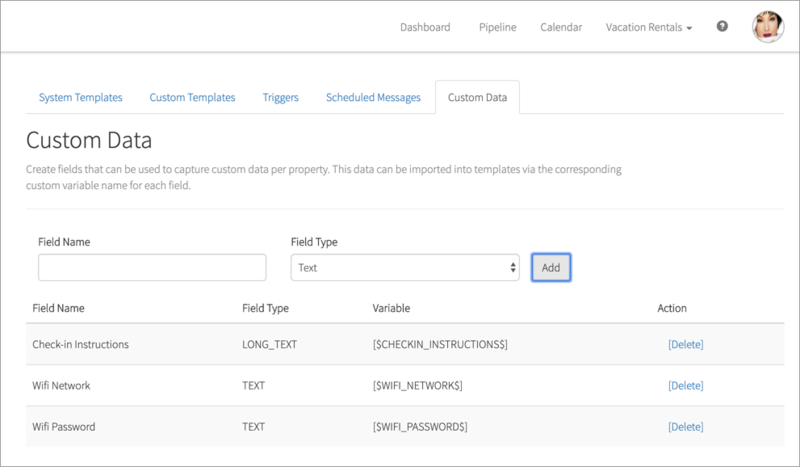 Note that Hostfully will provide the variable name automatically (3rd column), based on the name you used for your field. The variable name will later be usable in your custom templates. When selecting the "Insert a Variable" drop down, you will find your new custom variables in the list of variables (they're identified by a [Custom] marker). 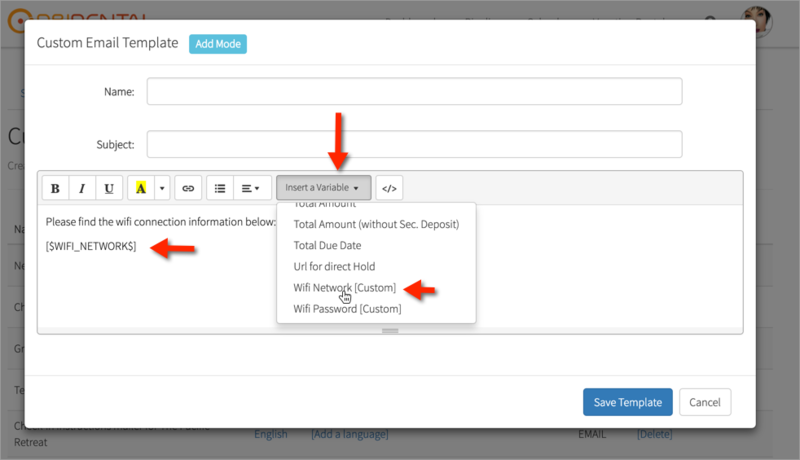 Once you select a variable, it will be automatically added to the field and will be automatically filled with the value you defined for each property, once the message using this template will be sent.